Spenic offer a bespoke sewing service for the creation for bags, sleeves and other creative items made from our range of innovative materials. Our services can also be used on media and fabrics provided to us by you. We can assist you in the pattern creation process, or work from your own designs to achieve a high-quality product for you. The final cost of the project will depend heavily on the complexity of the final item make-up, the volume of stitching and specialist thread requirements. 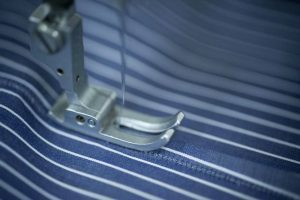 Our sewing capabilities utilise a trusted network of experienced sewing specialists and implement stringent quality control processes to ensure we meet your expectations. Courier delivery of your finished items. *Sample creation is a chargeable event and a formal quotation will be provided prior to the commencement of any work. The cost of the sample creation will be deducted from the final production cost should the project proceed. We understand that your work is important to you and we treat every job with the highest level of care and attention. All information and designs supplied to us is treated in the utmost confidence and is never shared with third parties. Either contact us directly by phone or email to discuss your requirements. Should you prefer, please complete the contact from below and we will get back to you straight away.